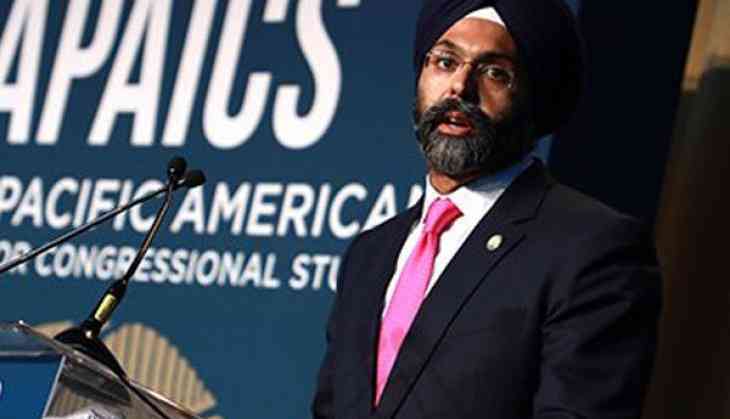 Two hosts of a radio program in New Jersey have been suspended for ten days after referring to America's first Sikh Attorney General, Gurbir Grewal, as "turban man" during a segment on July 25. Dennis Malloy and Judi Franco, who host a conservative-leaning talk show every weekday on New Jersey 101.5 F.M., forgot Grewal's name and called him 'turban man'. The segment was about a recent action the attorney general took in temporarily suspending prosecution of marijuana cases in the state. During the show, Malloy said that he would call the Attorney General "the guy with the turban" as he would never going to know his name, CNN reported. Soon after this the co-host Judi Franco called Grewal "Turban man". "Listen, if that offends you, then don't wear the turban, man," Malloy said, adding "And I'll remember your name." Outraged by the abhorrent comment by the duo jockeys, Grewal took to Twitter and said, "My name, for the record, is Gurbir Grewal. I'm the 61st Attorney General of NJ. I'm a Sikh American. I have 3 daughters. And yesterday, I told them to turn off the radio." Following Grewal's complaint, the station issued an apology on its blog post, stating that the two had been taken off the air for a couple of days. It later said that the duo were suspended for 10 days, and will not return to the air until August 6. Malloy and Franco also posted an apology on the station's website on July 26.